Between February and November 1981, Screaming Lord Sutch re-united with Glen Stoner on and off. 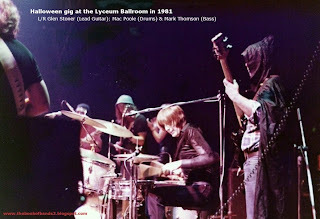 Meanwhile from late 1977 to early 1981, Glen Stoner fronted various bands such as The Snagger Band and The Eddie Stoner Blues Band. All these outfits were formed with drummer John Hickson and bass player Mark Thomson who'd earlier been with a band called O.H.M.S. The Snagger band that also comprised Hugh Spaven on vocals/guitar and Steve Curtis on guitar, was more a dance/wedding/social club band. The Eddie Stoner Blues Band featured the now well known Eddie Reader on vocals, rhythm guitarist Ian Bullen from Turnpike Trust and a great harmonica player named John Every. They played lots of local gigs - mostly pubs, music clubs and social clubs - and did the Bath Festival in 1980 with a new rhythm guitarist Peter Wright from a heavy metal band called Shell Shock. Mark Thomson: "when we played Bath festival, Peter Wright played rhythm guitar because he had a big enough van to fit all the gear and band in we were in bath about 10 days and played the festival twice... we all had a great time." Vocalist of Sweet Brian Connolly wanted the Eddie Stoner Blues Band to do a tour of germany as his backing band but the record company blew out because of his drink problems - he could be pretty unreliable. In February 1981, Glen Stoner got the band for a tour of the U.K. together but Dave Sutch was'nt too keen on John Hickson's drumming so Mark Freeman or Mac Poole played with Hickson as last resort. 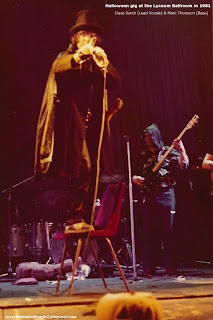 "Dave Sutch was always on the lookout for backing bands to keep his costs down and earnings up so would often travel all over and have a local band back him they were all called The Savages and learnt his set which entailed a lot improvising due to the sword fighting and chase in "Jack The Ripper" to an extended version of "Great Balls of Fire" where Dave did a fire eating routine these could go on for 10 to 15 minutes depending on the audience reaction and the finale with the toilet seat and a face mask of the prime minister of the day ending in a drum solo on a german war helmet. He was definately original." They started doing some clubs in Yeovil, Somerset, then American air bases in Lincolnshire and in Doncaster. 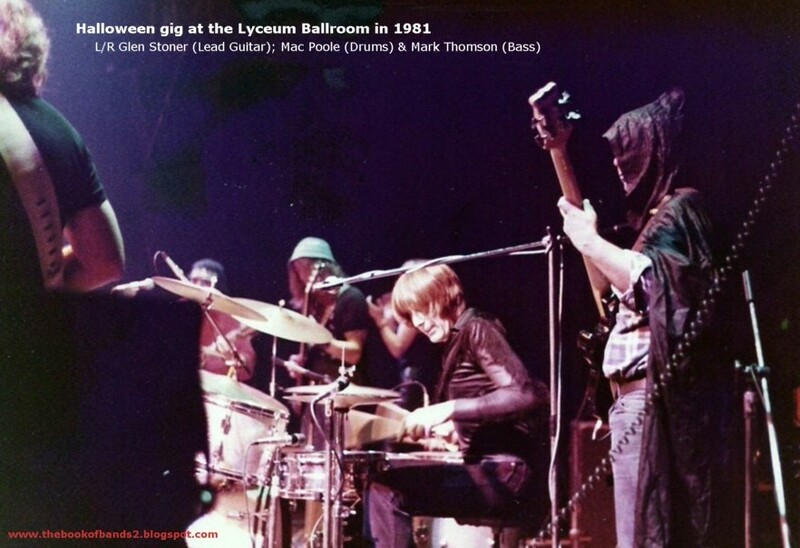 Later in the year, while Mac poole became their main drummer, they had a series of gigs in September and October including more airforce bases, a dinner dance at the Busy Bee in Watford where they had a great audience. They travelled back to somerset, across to the Isle of Wright for a rock and roll weekend at a holiday camp where they headlined on the Saturday night, supported by chart toppers Paper Lace. 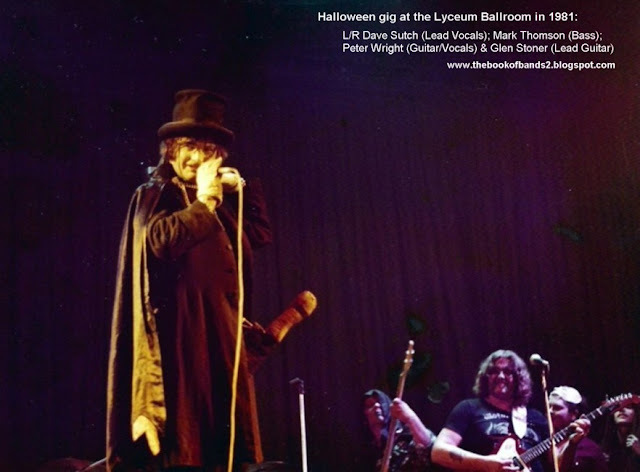 They then returned to Lincoln for a gig on the friday, and ended with a Halloween gig at the Lyceum Ballroom, London, on Saturday October the 31st 1981. "I suppose our style was pretty much good Rock'n'Roll heavy at times but Glen was a great improvisor so with Dave's act at the time we backed him depending on the audience "Jack The Ripper" was usually 10-15 mins long and to follow the sword fighting police chase etc. Glen would fit in classics like "The Dance of the Sugar Plum Fairy", "Sword Dance", "Paint it Black" and so on same with the "Great Balls of Fire". We had to follow dave's fire eating and general tomfoolery the set usually lasted 75 to 90 mins." His drinking became a problem so Mark Thomson left the band along with John Every and they formed a band called Apathy to fulfil the gigs and obligations with Peter Wright on rhythm guitar/vocals, Chris Malia on lead guitar and Brian Hillier on drums. Sadly Glen Stoner died some years ago.